Real conversations are the ones that move things forward in relationships, that cause growth and improvement, and which are the ones that ultimately matter. In business and in life. Being able to be authentic and real, to confront (and handle being confronted) when needed, be open and tell the truth, ask for help, even say no and speak up for ourselves, are conversations that many of us find challenging and difficult. Yet they are the conversations that count. 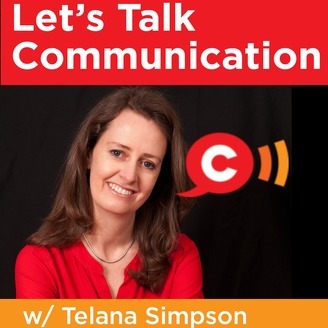 Telana Simpson helps bright, talented people have no regrets in life by being able to have these meaningful conversations. 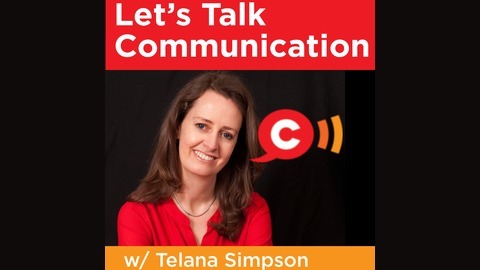 Let’s Talk Communication is Telana’s podcast show where she learns how to have these types of conversations, and has some with her guests. She talks with others to learn more about communicating skills and how to improve relationships, so that more of us can change the world by changing the type of conversations we have. How do we develop the the faculty of discernment and the ability to communicate consciously? Telana had a conversation that counts with Noy Pullen sitting alongside her fireplace in Cape Town. They talk about the written word and media, including newspapers and magazines, and how we can notice the force behind the media we consume, and how it may trigger us and allow us to go within to develop our inner resources and take responsibility for our growth. They also cover consciousness and creativity in this discussion around self reflection and self expression. Noy also shares a very practical self-coaching process and the usefulness of journaling.